Somehow I kinda doubt Vogel would turn to the cartoon for new characters. <div class="forumQuote"><b>RazorsEdge701 Wrote:</b><br/>Somehow I kinda doubt Vogel would turn to the cartoon for new characters.</div> <br/> <br/>What other odd crystal realm is there? What other odd crystal realm is there? <div class="forumQuote"><b>mwgrant0 Wrote:</b><br/><div class="forumQuote"><b>RazorsEdge701 Wrote:</b><br/>Somehow I kinda doubt Vogel would turn to the cartoon for new characters.</div> <br/><br/> <br/><br/>What other odd crystal realm is there?</div> <br/> <br/>They'll probably make a new one up, man. The cartoon wasn't made by the Midway guys, and even if it were, that Zara chick wasn't some kind of demigod who knew the future and could possess people thru their dreams after all. They'll probably make a new one up, man. The cartoon wasn't made by the Midway guys, and even if it were, that Zara chick wasn't some kind of demigod who knew the future and could possess people thru their dreams after all. <div class="forumQuote"><b>RazorsEdge701 Wrote:</b><br/><div class="forumQuote"><b>mwgrant0 Wrote:</b><br/><div class="forumQuote"><b>RazorsEdge701 Wrote:</b><br/>Somehow I kinda doubt Vogel would turn to the cartoon for new characters.</div> <br/><br/><br/> <br/><br/><br/>What other odd crystal realm is there?</div> <br/><br/> <br/><br/>They'll probably make a new one up, man. The cartoon wasn't made by the Midway guys, and even if it were, that Zara chick wasn't some kind of demigod who knew the future and could possess people thru their dreams after all.</div> <br/>While that's true you should remember that Quan Chi came from that show so it is possible however unlikely. While that's true you should remember that Quan Chi came from that show so it is possible however unlikely. If not that then i think that the woman is Delia. <div class="forumQuote"><b>chameleon84 Wrote:</b><br/><div class="forumQuote"><b>RazorsEdge701 Wrote:</b><br/><div class="forumQuote"><b>mwgrant0 Wrote:</b><br/><div class="forumQuote"><b>RazorsEdge701 Wrote:</b><br/>Somehow I kinda doubt Vogel would turn to the cartoon for new characters.</div> <br/><br/><br/><br/> <br/><br/><br/><br/>What other odd crystal realm is there?</div> <br/><br/><br/> <br/><br/><br/>They'll probably make a new one up, man. 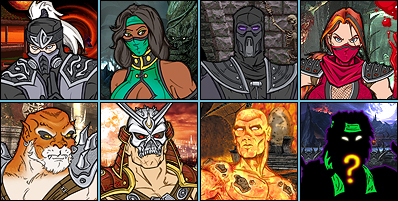 The cartoon wasn't made by the Midway guys, and even if it were, that Zara chick wasn't some kind of demigod who knew the future and could possess people thru their dreams after all.</div> <br/><br/>While that's true you should remember that Quan Chi came from that show so it is possible however unlikely.</div> <br/> <br/>He did not "come from" the show. 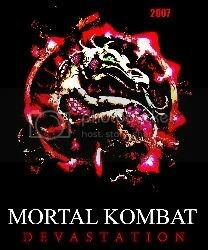 The show creators had contact with Midway, so they knew about Mythologies while it was in development, and the episode with Quan Chi in it happened to air before Mythologies was released. He did not "come from" the show. 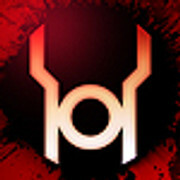 The show creators had contact with Midway, so they knew about Mythologies while it was in development, and the episode with Quan Chi in it happened to air before Mythologies was released. <div class="forumQuote"><b>mwgrant0 Wrote:</b><br/>OK, so it was in an unnamed crystal realm and as i was browsing the wiki i saw a realm named Ilkan, the crystal realm from DOTR and it hit me a character named Zara who was evil, banished to a crystal realm, and dark-skinned could be the one who possessed Jade. http://images1.wikia.nocook<i></i>ie.net/__cb20110408231050/mk/images/thumb/d/d4/Zara.jpg/250px-Zara.jpg</div> The two don't really look much alike, but I guess should could have been redesigned. <br/> <br/>Is the realm from DOTR related to any dream-like world? The two don't really look much alike, but I guess should could have been redesigned. Is the realm from DOTR related to any dream-like world? Delia, Lady of Flame: <br/><img src=http://img266.imageshack.us/img266/8030/delian.jpg> <br/> <br/>Jade's Ending Girl: <br/><img src=http://img11.imageshack.us/img11/7339/jadeend.jpg> <br/> <br/>Yeah...not so much the same person. I think the big giveaway is how the new chick doesn't match the "blind oracle" trope that Delia's character design went for, and isn't wearing "flame" colors at all. <br/> <br/>Y'know...that or how Taven's mom doesn't have <b>blue-green skin</b>. Yeah...yeah, that one's probably the key. Yeah...not so much the same person. I think the big giveaway is how the new chick doesn't match the "blind oracle" trope that Delia's character design went for, and isn't wearing "flame" colors at all. Y'know...that or how Taven's mom doesn't have blue-green skin. Yeah...yeah, that one's probably the key. I remember seeing Jade's ending thinking, "if Jade was my favorite character, I would really hate this ending." Even if you were a fan...if Jade were possessed, and nobody told you, would you be able to tell the difference? <div class="forumQuote"><b>RazorsEdge701 Wrote:</b><br/>Even if you were a fan...if Jade were possessed, and nobody told you, would you be able to tell the difference? <br/><br/> <br/><br/>I guess she might stop using the word "easy" so much. That would be about the only giveaway...</div> <br/> <br/>Jade is my favorite female character, and even I have to admit if she came back possessed by this woman it wouldn't be noticeable unless it completely changes her alignment. <br/> <br/>She's never really had much of a personality, a lot like smoke. So, her coming back via this woman would not upset me at all. In fact it would be welcome. The way I see it is she could still have memories of her past anyway, and just be guided by this woman. <br/> <br/>Maybe if anything that woman is just another manifestation of the One Being. It would kill two birds with one stone. It would give Jade more development by having the one being come to her instead of Shujinko. And it would also just kill Shujinko all together. That would be great.. for me anyway. I don't hate Shujinko, but I damn sure don't like him either. Jade is my favorite female character, and even I have to admit if she came back possessed by this woman it wouldn't be noticeable unless it completely changes her alignment. She's never really had much of a personality, a lot like smoke. So, her coming back via this woman would not upset me at all. In fact it would be welcome. The way I see it is she could still have memories of her past anyway, and just be guided by this woman. Maybe if anything that woman is just another manifestation of the One Being. It would kill two birds with one stone. It would give Jade more development by having the one being come to her instead of Shujinko. And it would also just kill Shujinko all together. That would be great.. for me anyway. I don't hate Shujinko, but I damn sure don't like him either. lol, I don't see a whole lot of character development in Jade's future either way. If nothing else, I can hope her MKD pigtails will come back one day. The only other Crystal Realm that's even remotely CLOSE to being crystal realm is the one known as Zaterra (Reptile's Original Home), where the only crystal that ever existed there was the Gem of Tetzuri, which was not even a gem at all... but an ancient crystalized heart. <div class="forumQuote"><b>Scar_Subby Wrote:</b><br/><div class="forumQuote"><b>RazorsEdge701 Wrote:</b><br/>Even if you were a fan...if Jade were possessed, and nobody told you, would you be able to tell the difference? <br/><br/><br/> <br/><br/><br/>I guess she might stop using the word "easy" so much. That would be about the only giveaway...</div> <br/><br/> <br/><br/>Jade is my favorite female character, and even I have to admit if she came back possessed by this woman it wouldn't be noticeable unless it completely changes her alignment. <br/><br/> <br/><br/>She's never really had much of a personality, a lot like smoke. So, her coming back via this woman would not upset me at all. In fact it would be welcome. The way I see it is she could still have memories of her past anyway, and just be guided by this woman. <br/><br/> <br/><br/>Maybe if anything that woman is just another manifestation of the One Being. It would kill two birds with one stone. It would give Jade more development by having the one being come to her instead of Shujinko. And it would also just kill Shujinko all together. That would be great.. for me anyway. I don't hate Shujinko, but I damn sure don't like him either. </div> <br/> <br/>Yes. <div class="forumQuote"><b>seanay Wrote:</b><br/>the woman looks like Li Mei .. it would be a better story as to how we got Li Mei but the absence of Jade would not be so good</div> <br/>I would have to strongly disagree there. Li Mei being an Outworld slave who tried to win Quan Chi's tournament to regain her freedom is substantially more interesting. <br/> <br/>Li Mei's story is really good if you look underneath the surface. I would have to strongly disagree there. Li Mei being an Outworld slave who tried to win Quan Chi's tournament to regain her freedom is substantially more interesting. Li Mei's story is really good if you look underneath the surface. I'm going to get flamed and chewed out for this, but the little detail I noticed was the woman in Jade's ending, her somewhat of a bra outfit looked a little green and almost reptilian and... <br/> <br/>What if it's Onaga in a different form? I mean, he must have been watching in the Netherealm what was going on through the Millenniums and the woman wanted Khan's death to be reimagined so to say. Onaga is still pissed off at Khan for killing him and usurping his throne. What if it's Onaga in a different form? I mean, he must have been watching in the Netherealm what was going on through the Millenniums and the woman wanted Khan's death to be reimagined so to say. Onaga is still pissed off at Khan for killing him and usurping his throne. <div class="forumQuote"><b>Venkman28 Wrote:</b><br/>I'm going to get flamed and chewed out for this, but the little detail I noticed was the woman in Jade's ending, her somewhat of a bra outfit looked a little green and almost reptilian and... <br/><br/> <br/><br/>What if it's Onaga in a different form? I mean, he must have been watching in the Netherealm what was going on through the Millenniums and the woman wanted Khan's death to be reimagined so to say. Onaga is still pissed off at Khan for killing him and usurping his throne.</div> <br/>I don't think it's a crazy idea. Onaga tricking people by taking strange forms is kind of a forte of his. In a dream state, he probably could get much more creative. <br/> <br/>Thing is, the ending pointed more towards possession than deception. That's my main reservation. I don't think it's a crazy idea. Onaga tricking people by taking strange forms is kind of a forte of his. In a dream state, he probably could get much more creative. Thing is, the ending pointed more towards possession than deception. That's my main reservation. Sorry to be the one to say this but, i think we should all operate under the assumption that the endings for characters who died in story mode are likely not going to end up as canon. Nevertheless that doesn't mean we can't speculate altogether. <br/> <br/>Personally i don't think it will be, so the story people just made up some stuff about a crystal realm and mysterious possessing spirit, knowing that they would never have to follow through with it. <br/> <br/>Jade is just fine as she is, story/personality-wise, just as long as she stops saying the damn word 'easy' in future installments. Sorry to be the one to say this but, i think we should all operate under the assumption that the endings for characters who died in story mode are likely not going to end up as canon. Nevertheless that doesn't mean we can't speculate altogether. Personally i don't think it will be, so the story people just made up some stuff about a crystal realm and mysterious possessing spirit, knowing that they would never have to follow through with it. Jade is just fine as she is, story/personality-wise, just as long as she stops saying the damn word 'easy' in future installments. <div class="forumQuote"><b>PickleMendip Wrote:</b><br/>Personally i don't think it will be, so the story people just made up some stuff about a crystal realm and mysterious possessing spirit, knowing that they would never have to follow through with it.</div> <br/> <br/>This ending is the only one in, like, history that features a <i>new</I> character. None of the other games ever used an ending to introduce someone who's never shown up before, in a mysterious fashion where they show what they look like but don't say what their name is. 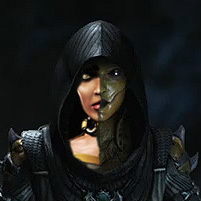 <br/> <br/>I doubt anyone really thinks Jade, despite being dead and in Hell, will start the next game possessed by someone who wants to undo Shao Kahn's death...but they wouldn't design a new character if they weren't going to have her show up again in some form or fashion. This ending is the only one in, like, history that features a new character. None of the other games ever used an ending to introduce someone who's never shown up before, in a mysterious fashion where they show what they look like but don't say what their name is. 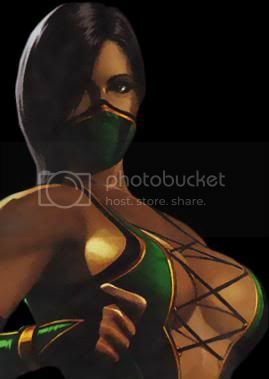 I doubt anyone really thinks Jade, despite being dead and in Hell, will start the next game possessed by someone who wants to undo Shao Kahn's death...but they wouldn't design a new character if they weren't going to have her show up again in some form or fashion. I think the woman in Jade's Ending has plant manipulation (nature powers) like Poison Ivy. They can make her costume like old Poison Ivy costume. The new 52 Poison Ivy costume is very different to her old one.